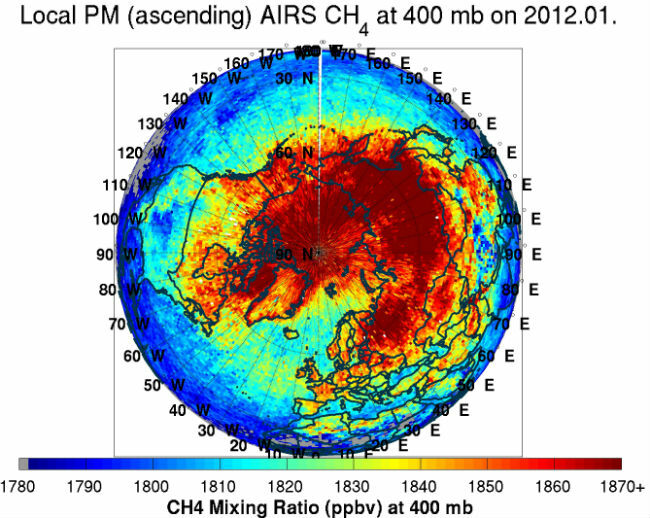 In January 2012, methane levels in the Arctic reached levels of 1870 ppb. 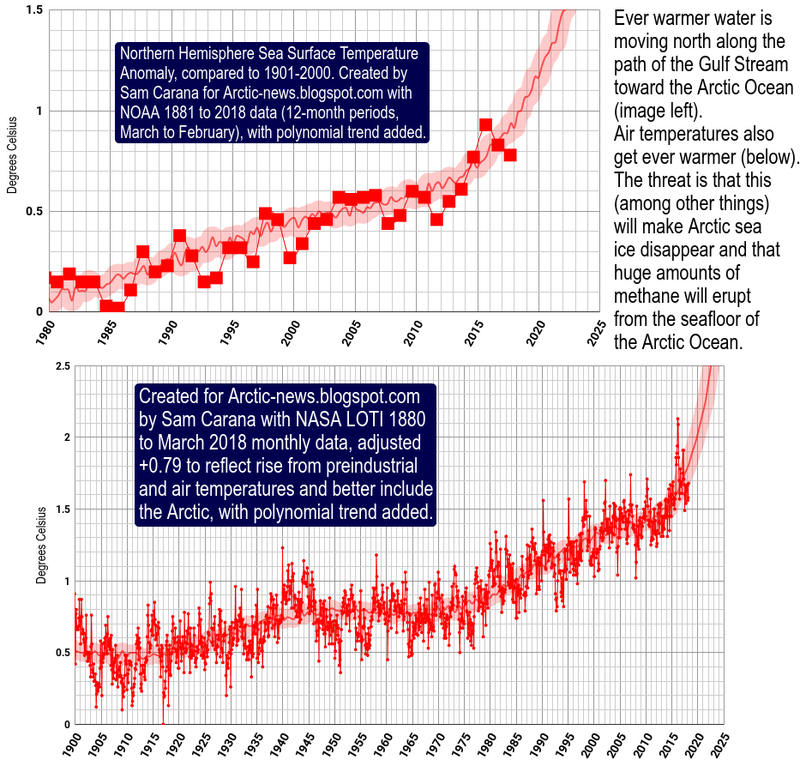 Particularly worrying is that, in the past, methane concentrations have fluctuated up and down in line with the seasons. 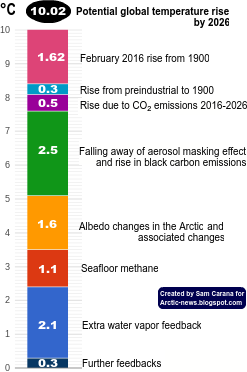 Over the past seven months, however, methane has shown steady growth in the Arctic. Such a long continuous period of growth is unprecedented, the more so as it takes place in winter, when vegetation growth and algae bloom is minimal. The most obvious conclusion is that the methane is venting from hydrates.